First Person’s mission is to provide efficient, quality, and affordable healthcare by maintaining the patients continuity of care through a holistic, compassionate, and accessible approach to all, including the medically underserved, the uninsured, and the underinsured individuals. 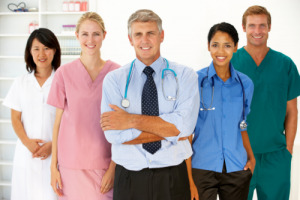 First Person Care Clinic’s vision is to be a leader in providing patient continuity of care for both physical and mental healthcare services to all sectors of the community regardless of ability to pay, and to develop a healthcare model utilizing collaborative relationships that promote an economic and environmentally sustainable resource to the community. First Person’s values are to provide an integrated and collaborative network of physical and mental health service providers, local and state agencies, private and public entities that will positively impact the community in a holistic fashion by addressing an individual’s needs and stress markers. If you would like to learn more about our services and how we can serve you today, please feel free to give us a call at 702-380-8118.